Therese has been planning spectacular weddings and special events since 2007. Over the course of three decades, she has created an amazing life working with women across the country in her own business as a Mary Kay Sales Director with a team of over 100 women. Her years in 'the pink' have paired beautifully with her passion for love stories and a stunning aesthetic. A Maryland native, Therese has called this her home for over 50 years. 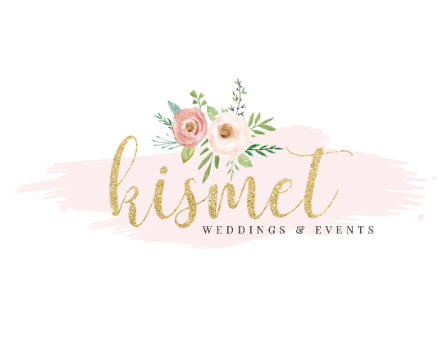 After a decade of freelance event planning, she and her daughter founded Kismet Weddings and Events to offer her exceptional attention to detail, boundless creativity and infectious enthusiasm for weddings and celebrations to brides and grooms who love the rural beauty of Maryland as much as she does. From modern and sleek to comfortably rustic, her talents and aesthetic are constantly evolving, giving each couple a unique and personalized event that is true to who they are. She values love above all, and throws herself wholeheartedly into every opportunity she has to celebrate the moments that bring people together. Therese oversees all Kismet events, and produces full-service event design & planning celebrations. Also a southern Maryland girl, Katie is Kismet's resident creative genius, detail goddess & kind heart. Katie loves creating beauty with her mother because it empowers her to express her creativity and passion while allowing her to keep her priorities in place for her young family. Whether designing gorgeous center pieces or expertly executing weddings and events, her gentle spirit, warm demeanor and impeccable attention to detail make her both a calming presence and a force to be reckoned with on any event or wedding day. Katie is a busy mom of a baby son, Leo, and a crazy-busy little ray of sunshine named Layla. Together with her husband, Tony, they keep the plates spinning in their faith-filled, love-rich world.